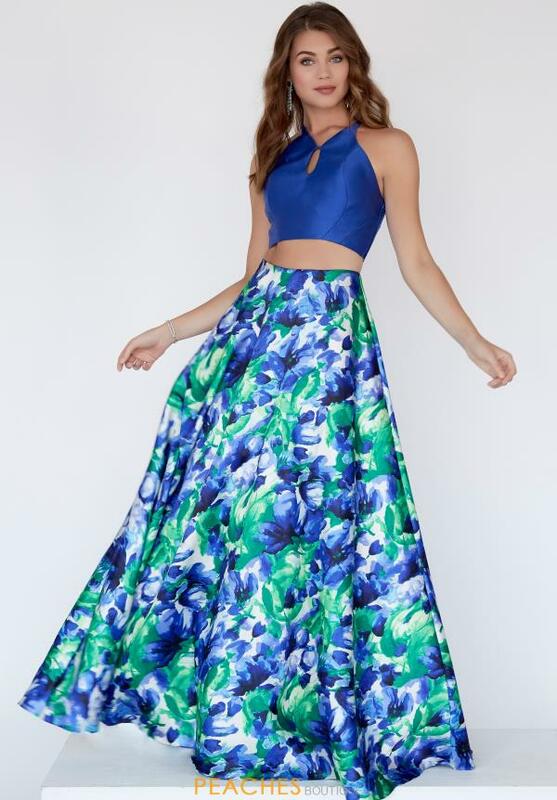 Twirl all night long in this versatile two piece printed style E80027, a charming gown that will fascinate all. This playful style features a halter crop top and a line silhouette. Made in a vibrant floral print, the a line skirt showcases edge side pockets that add a fun and flirty touch. The back of the dress features an intricate strap detailing and elegant sweep train.